For a sort stay in any city, a hop-on-hop-off tour is a great way to see a lot in one day - today we tried Munich. Our first port of call was the Nymphenburg Palace - an interesting place, but like Powerscourt House. 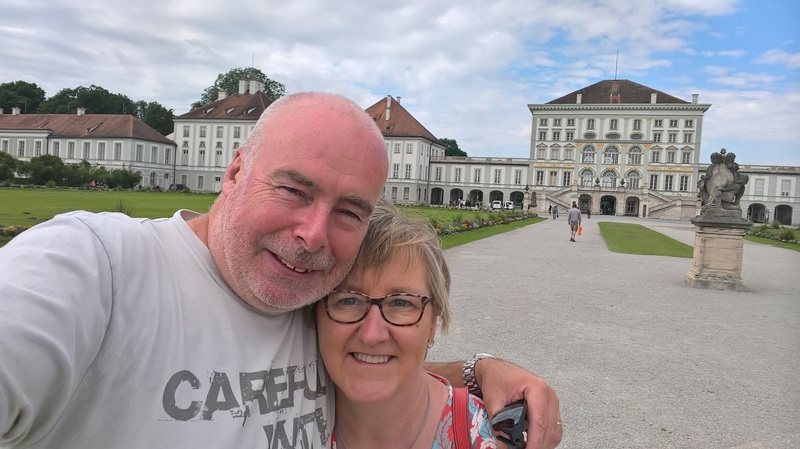 Lots of gardens to see, it we moved on to the next stop which was the BMW World and Museum. 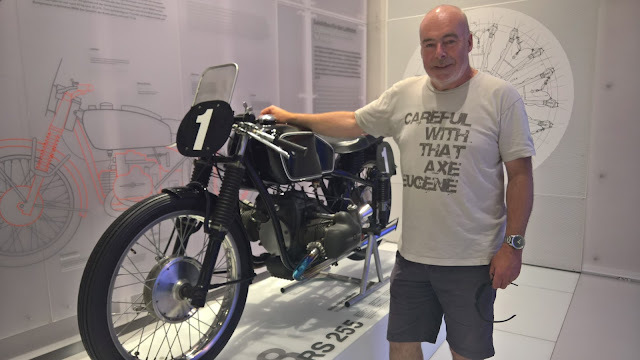 Fantastic cars, but I had a special interest in the motorbikes - but I am still loyal to Harley-Davidson despite some fantastic machines old and new on display today. 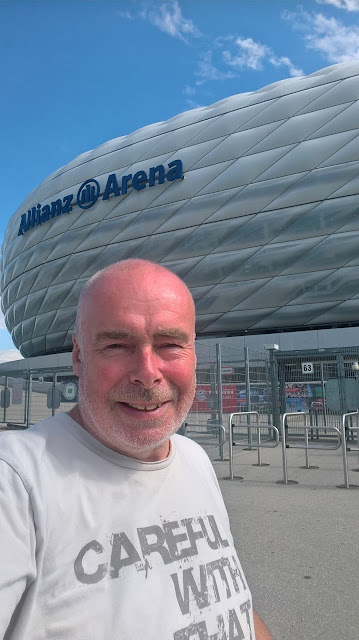 Next we went to the Allianz Arena - home of Bayern Munich. 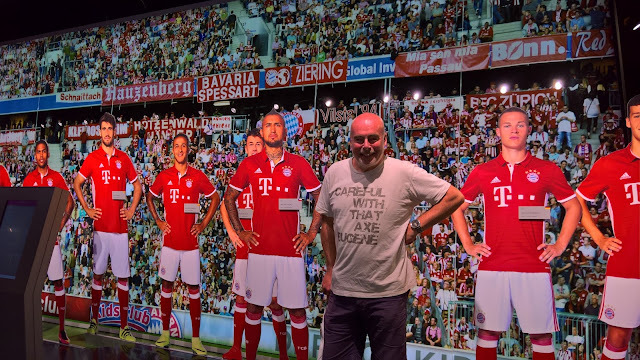 Disappointingly the next tour of the arena was 1.5 hours away, so we had to settle for the super museum tour. I loved the nostalgia of the past football achievements of this top European team. Later we went to the English garden for a beer and some welcome sun.